A new short story reveals how the character came to serve Jarvan III. 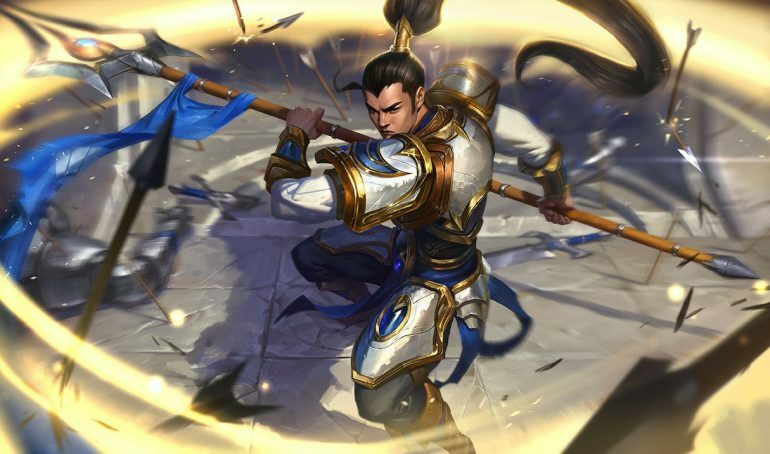 In the latest update to Demacia’s lore, Riot Games released a new short story and biography update for Xin Zhao ahead of League of Legends Patch 9.6. Over the past few months, the League of Legends developer has taken steps to revamping existing lore and crafting new stories around the Demacian region. While the lore surrounding Sylas’s release showed the dark side of the kingdom, Xin Zhao’s latest short story demonstrates Demacia’s mercy and adherence to justice. In the short story, Xin Zhao served under the Noxian banners in an attempt to capture Kalstead for the empire but was ultimately taken prisoner by Demacia. While awaiting his execution, Xin Zhao was repeatedly approached by a young and kind Demacian guard named Olber. Alongside a few other guards, Olber questioned Xin Zhao about his dark past, eventually discovering he fought as a Reckoner under the name Viscero in the arenas of Noxus. Xin Zhao was then brought before the Demacian king, Jarvan III, to obtain his freedom. The prisoner spoke of his birthplace and how Noxians robbed him from his home. It was then that Xin Zhao turned into Viscero, having been forced to fight and kill in the arenas. Jarvan III offered him his freedom, but Xin Zhao turned it down, requesting to join the Demacian ranks. He then proved his fighting ability, knocking down guards and shoving a spear towards the king’s throat. Instead of angering the king, the display impressed him, leading him to offer Xin Zhao a spot in his personal guard. Xin Zhao stepped into his role, enjoying the camaraderie and discipline of the Demancian ranks, but was challenged by one of the king’s guard who warned him of any wrongdoing. Before the story ends, Xin Zhao offered her his life if anything should happen to the king.